The warm weather of summer brings with it houseguests, storms, the sunshine, and a bunch of outdoor activities. These factors create many incentives to renovate your home. Remodeling can make your home more efficient, accommodating, and entertaining during the summer months. Let’s look at some of the best summer remodeling projects. Siding acts as a protective shell around a house.It can also have a significant impact on your home’s exterior and its curb appeal. By improving your home’s siding this summer, you can create a more inviting home while keeping the summer heat out and the air-conditioning in. Instead of spending extra money on air conditioning, make an investment which can benefit you for years to come. During the summer, you are bound to have guests, which means more food to cook. For this reason, kitchen remodeling is a great project for the summer. 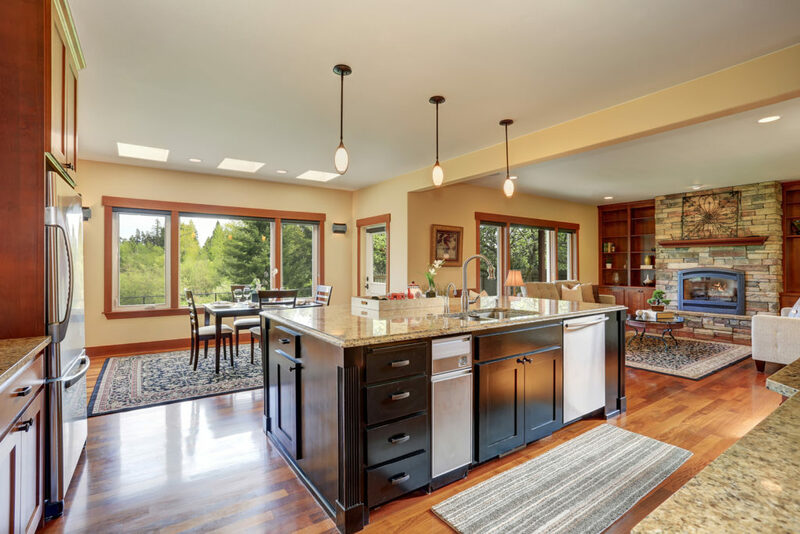 Some great options are natural stone countertops, which can add durability and class to your kitchen, and energy efficient appliances that can reduce electricity bills. Building outdoor kitchens is another one of the summer remodeling projects that are on the rise in popularity. By installing an outdoor kitchen, your home can become the greatest spot in town for summer barbecues. During the summer, the backyard is home to outdoor activities, family meals, and get togethers with friends. 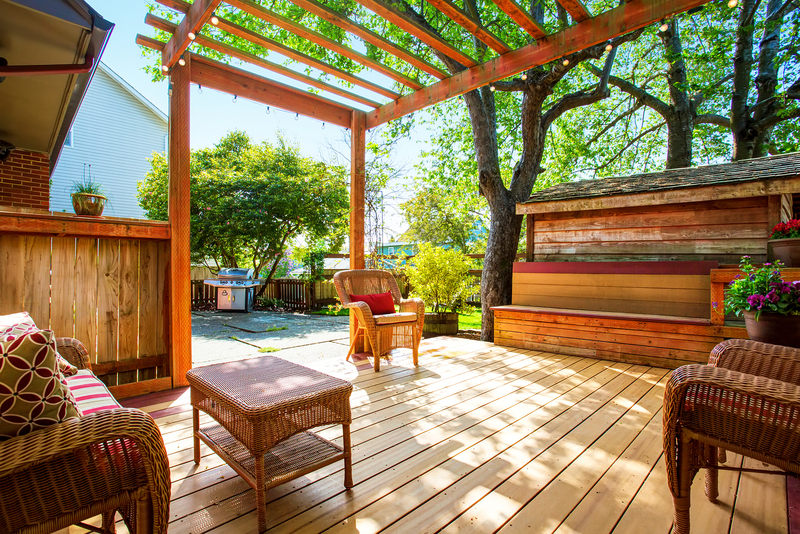 Installing a deck creates a space for all of these sources of summer fun. Decks also give depth to your property as well as create extra storage space. With an expert craftsman in charge of the addition, you can add new beauty and functionality to your outdoor living space. For all of the beautiful summer days with bright blue skies, there are hot and humid ones which can bring unexpected thunderstorms. By adding storm doors to your list of remodeling projects, you can protect your home from the elements. Storm doors can seal the cool air inside your home as well as protect it from heavy rain. There are also many stylish options that can elevate the design of your home. Batten down the hatches with some high-quality storm doors this summer. One of the simpler, but equally beneficial remodeling projects for summer is installing energy-efficient windows. These windows work alongside storm doors and insulating siding to keep your energy bills low. They can also qualify you for tax credits, giving you extra cash for summertime shopping. Energy efficient windows come in many designs that can match any style home and improve its aesthetic. One room in the house that summertime guests are bound to visit is the bathroom. For this reason, it makes sense to remodel. Stone mosaics and tiling on shower walls are bound to impress guests as well as give off a relaxing vibe, perfect for a nice shower. 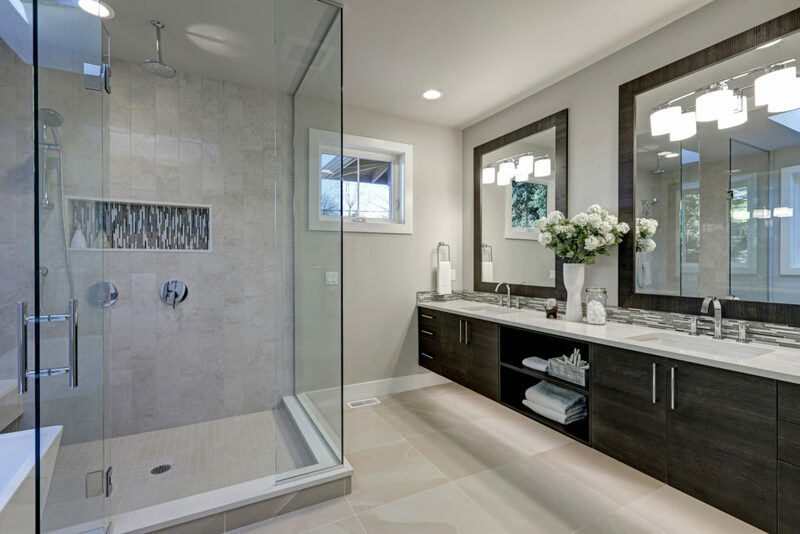 New cabinets can also add elegance and class to a bathroom, and for those with a pool, they provide extra storage for towels. New paint can reinvigorate your home’s appearance, and summer is a perfect time to add a few new coats. The powerful heat of the summer sun can quickly dry paint, reducing the possibility of a mishap or rain. What’s a better time than summer to breathe new life into your home? Don’t miss out on any summer fun by doing these remodeling projects yourself, hire a professional! Monetti Custom Homes provides expert craftsmanship in all aspects of home renovation. We have a proven record of creating elegant custom homes and extraordinary remodeling projects. Monetti homes are built to impress and built to last. To start remodeling this summer, contact us today.